These sessions are exclusively for mama's and their babies. 1.) You'll be so happy you have photographs of you and your baby because baby's don't keep, and how often are you in front of the lens? They are intimate, special and so sweet. 2.) I have a rack of dresses for you to choose from, so it takes the stress out of picking out an outfit! 3.) With that being said... you also don't have to clean up your home or worry about where we are going to shoot! Everything will be prepared and ready for you upon your arrival! 4.) Since I don't offer "mini sessions" this is the closest to a "mini" in that it's only 30-40 minutes long, more affordable, and the perfect treat to yourself. 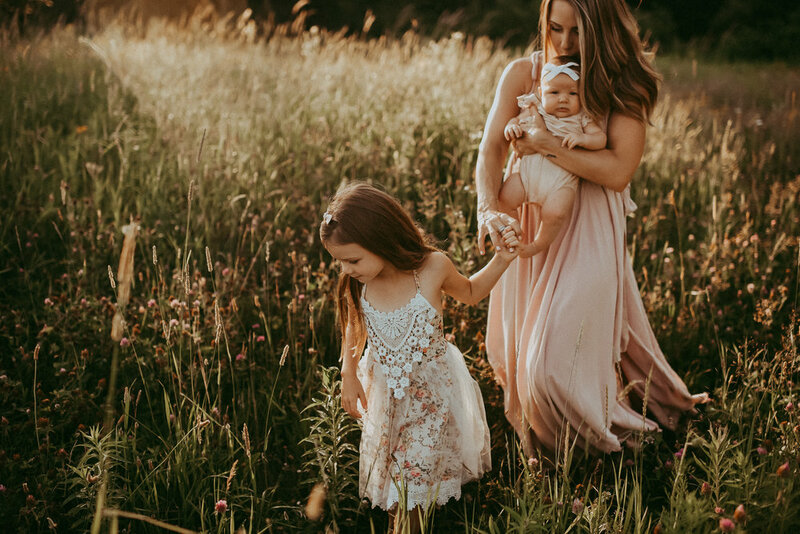 The importance of a Mama & Me session. I've touched on it before, several times... but I feel like if it was really received well, if it was driven home the way I think it should be, more people would be booking sessions like these. When I get inquiries from mothers who want me to come into their home and document the love they have for their children, I melt. 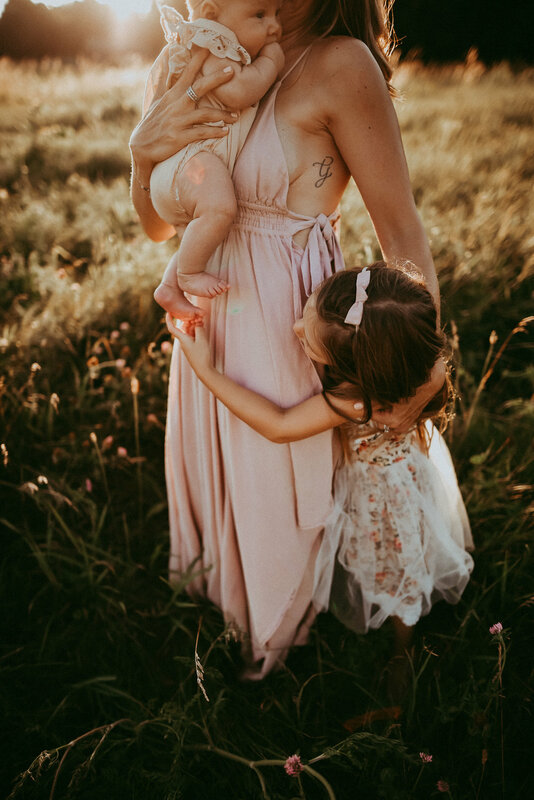 Really though, I think it's the most incredible thing for a mother to value this amazing time so much to hire a photographer to document it before it passes. Too often I hear from mother's "I wish I had a photograph like that of me and my babies." or "I'm always behind the camera, never in front of it with them." Change that. Once a year, once every other year, whenever you see fit, change it. Make it happen. Don't regret what you can so easily change. You're the most important person, soul, heart, thing, being in your children's life... but for how long? When does that change? The thought is daunting, so why not make sure you capture the time when YOU were all that they adored, why not document all of your joy & hard work. Treat yourself to the gift of photographs with your children. If it's not one of your most prized possessions now, it will be later. Freeze the best days of your life, even if it's just for a second.